Our premium solar packages offer Tier-1 German & Canadian panels, and the world's largest inverter brands. Regen Power is the biggest solar installers in Perth, and have been operating from Canning Vale since 14 years. Installed over 10,000 residential solar systems in Perth. When it comes to choosing a solar system in perth, there are a lot of important information that you must be aware of. Here we discuss a few of them. For more information, you can give us a call, and our engineers will aid you in selecting a 5kw or 6kw solar system. Perth is one of the sunniest cities in the world. Thus solar power has become synonymous with financial savings in the city. The city experiences over 8 hours of sunshine per day. This combined with factors like feed-in tariff, government rebates and high electricity costs makes it one of the best cities in the country for adoption of renewable energy. It is also among the top Australian cities for affordable battery storage. Most of all, the price of PV systems, even 6kw solar power systems, are dropping so much that every household is able to afford a roof-top system in the city even without feed-in tariff. The life of a solar power system is 25 years. Hence, within the first 4 years itself it can return your initial investment. The payback period and return on investment (savings) for your PV system dictates its financial effectiveness. There are a lot of factors which can affect your payback period: location of your roof, your electricity consumption pattern and your feed-in tariff. However, on an average, with the current electricity price rates, a 5kW system provides the best value-for-money with payback period of under 3 years. But, for consumers with heavier usage pattern, a 6kw solar system will future proof all your energy needs. You can find here a more detailed information about your potential electricity bill savings. The feed-in tariff constitutes one half of the government incentives provided to Australian home owners. The feed-in tariff varies depending on your state of residence and energy retailer. The table below shows the average feed-in tariff in different states. For a PV system there are numerous number of PV panel and inverter brands available in the country. Some relatively new brands offer lower pricing. So, to ensure reliability and long-term warranty services it is always a rule of thumb to choose the premium PV panels and inverter brands. Premium, in the case of panels, signifies tier-1 brands. You will find a lot of complicated definition in internet, when it comes to tier-1 panels. Simply put, tier rankings are based on the advanced manufacturing processes, R&D and production quantity. This correlates to panel performance and durability. Therefore tier-1 panels signifies the “best in the business”. And some popular tier-1 panels include Jinko, Trina and Q-Cell panels. When it comes to inverter brands, “premium” signifies German and European brands, known for their decades of expertise and reliability. 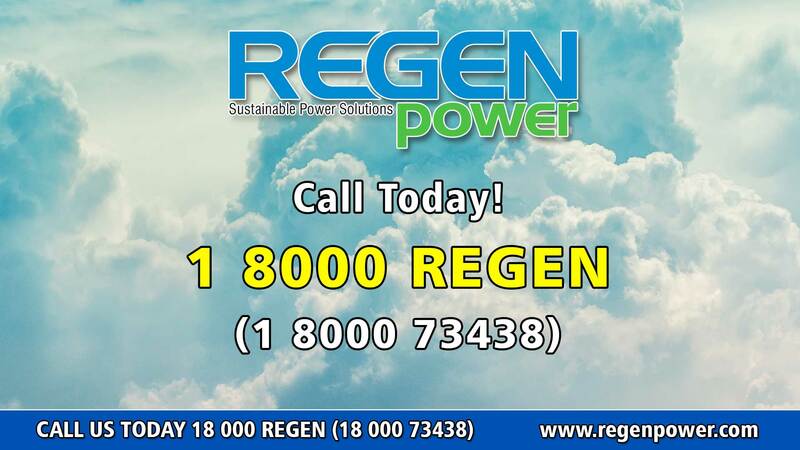 Regen Power offers the best European brands like SMA and Fronius inverters. With over 10 years of warranty, they will ensure unhindered performance and future battery compatibility. Thus, with premium PV modules and german inverters, your PV system will secure your future energy needs.